Jb. 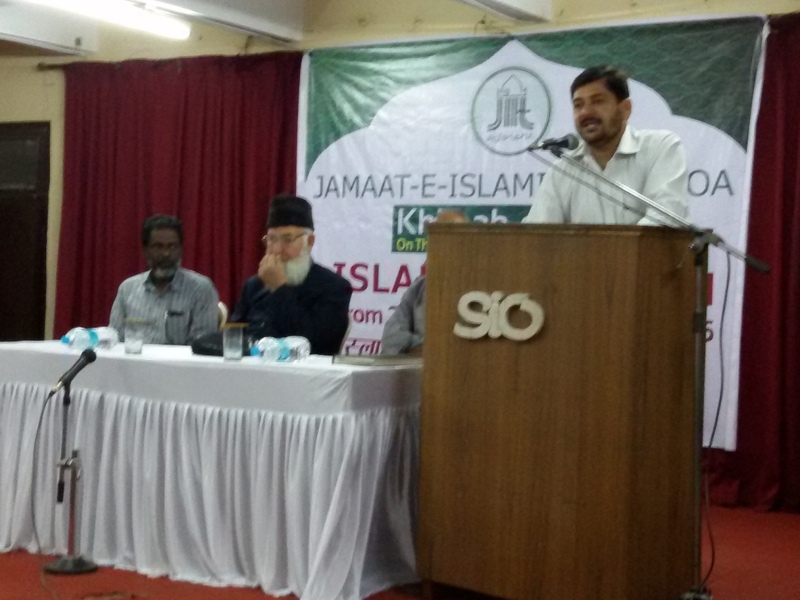 Samiullah Belwadi Secretary Shoba Islami Muashra JIH Goa speaking about the need for the campaign said that the fading concept of Islamic Family which in present times was restricted to the idea of a nuclear family with a utter disregard to value the importance for relatives has weakened the institution of family. 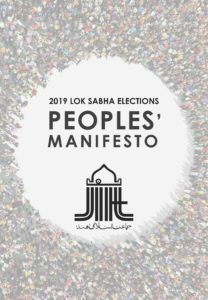 He said this campaign was important to remind the community of the rights and duties entrusted by the Creator to each member of the Islami Khandaan which includes relatives from both paternal and maternal family. 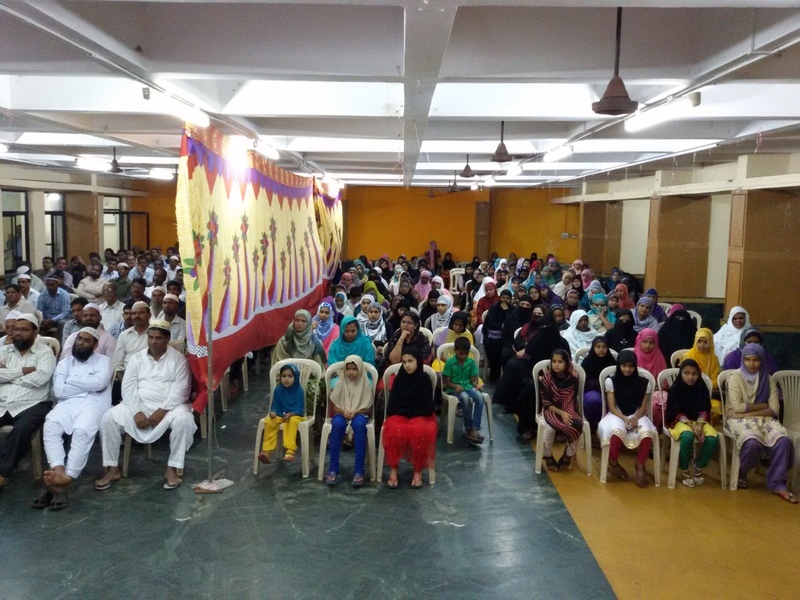 Maulana Zafar Alam Nadvi member of the Islami Muashra cell said that through the campaign we have raised a discussion on wastefulness during family occasions especially marriages in the community. He said many irrelevant customs and traditions alien to the simplicity of Islamic life has made a permanent stay in pre-marriage and post marriage functions. 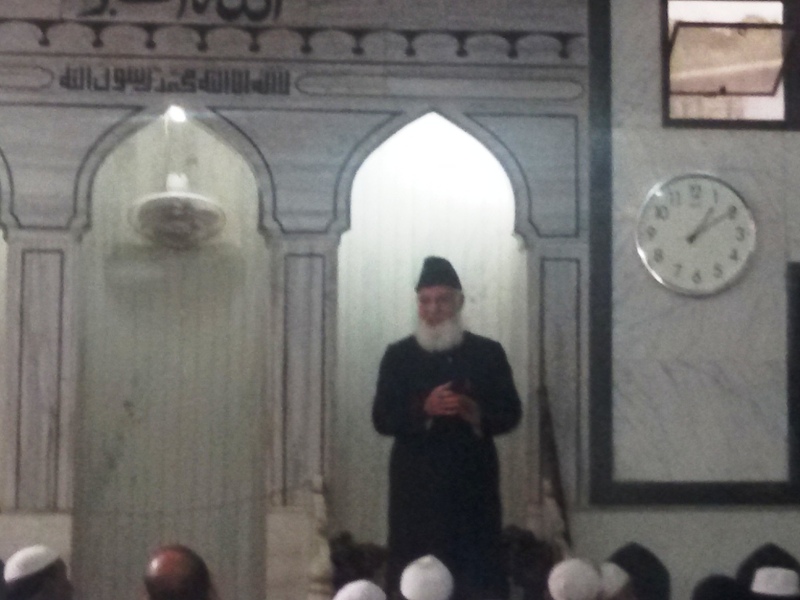 He said these traditions are followed more zealously than the guidance in the Quran and Sunnah . 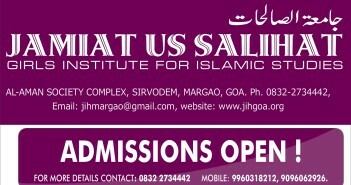 Ameer-e Halqa of Goa Jb. Abdul Wahid Khan said we took notice of the fact that many marriages are breaking down faster today and the discord marital life has destroyed many young lives. He opined that proper upbringing and pre-marital counseling will help reduce the stress, time, money and humiliation in fighting court battles to settle family disputes and it will also help reduce the burden of judiciary as with every passing day cases are piling up before civil courts. He said it was important to follow the guidance in the Quran and the Sunnah to resolve issues of discord in marital life. 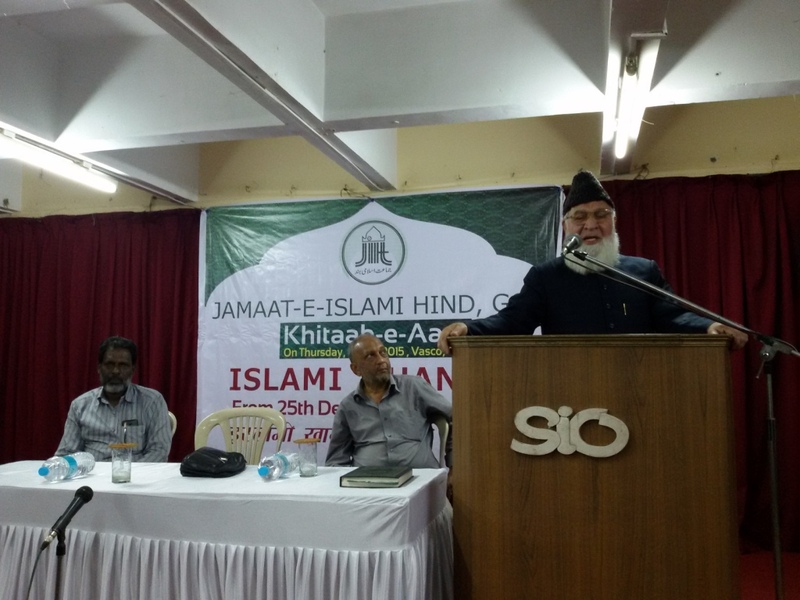 He said it was important for the community in Goa to educate the masses of the importance of the institution of Family. He said Islamic family life is the last bastion of morality and ethical relationship between man and woman. 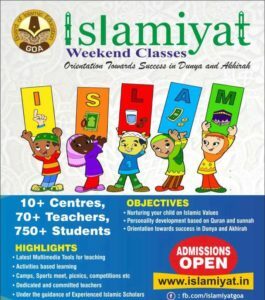 The institution of family needs to be cleared of all forms of corruptions and weaknesses and be safeguarded, restored and reconstructed on Islamic fundamentals. 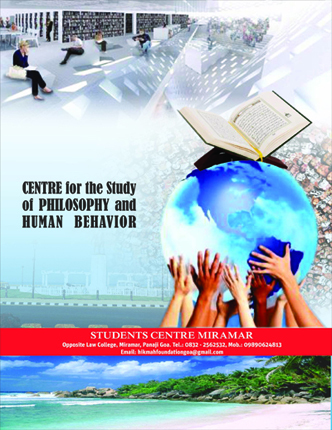 During the 10 day campaign a inaugural program was held at Students Centre -Panaji. 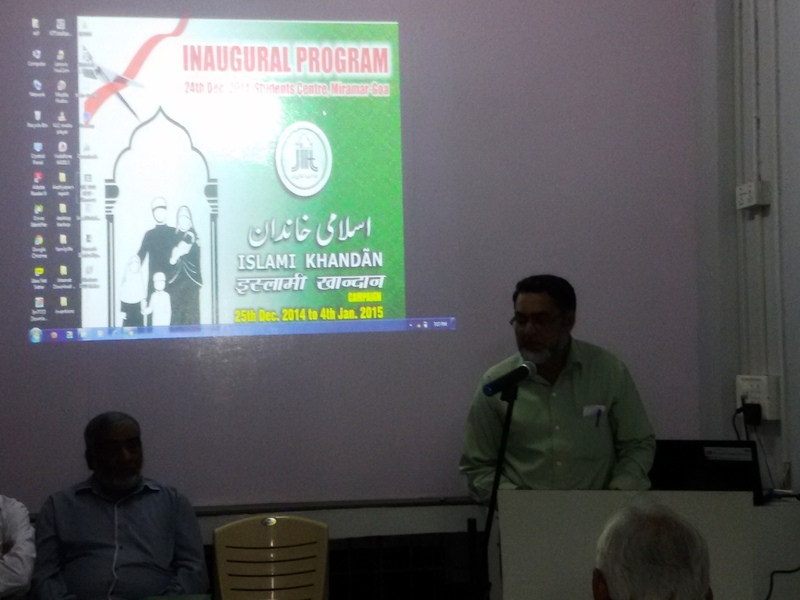 Br.Asif Hussain introduced the Campaign and its objectives through a ppt and later Jb. Samiullah Belwadi introduced the campaign activities .Jb.Abdul Wahid Khan released the campaign introductory video at the inaugural function. Later Maulana Abdul Mubeen Asari enlightened the crowd with a talk on the Islamic family system and its impact on human life. He said it is Allah who has instilled love and co-operation between a couple to live in harmony and to also sacrifice their time, energy and wealth to raise kids. The journey of life has been made wonderful through the different phases of life one goes through in life. As the same parents grow old it is then the time of the children to take of their parents not only because they raised them but because it is the command of the Creator to love them and to be compassionate with them in their old age and not to express even a sigh of disdain and disrespect. As the campaign progressed the cadre of JIH Goa went door to door meeting families and reminding of their role within the family system. Corner meetings were held to raise awareness on the campaign subject. 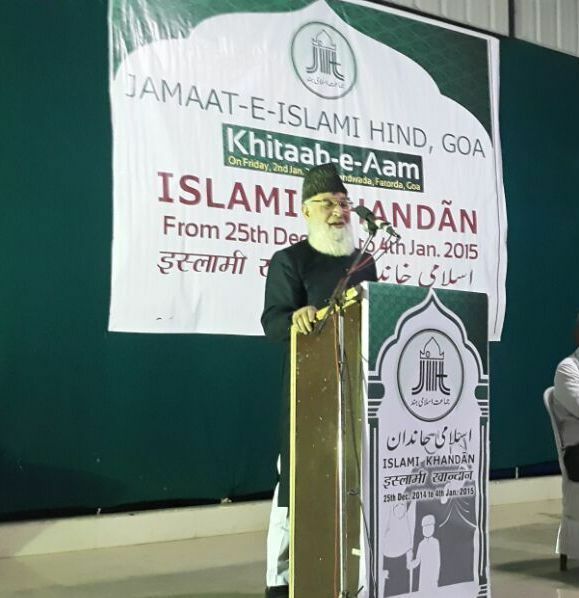 Jumah Khutbah were distributed in all the masajids of Goa to raise the issue of “Islami Khadaan” during the Friday sermon. 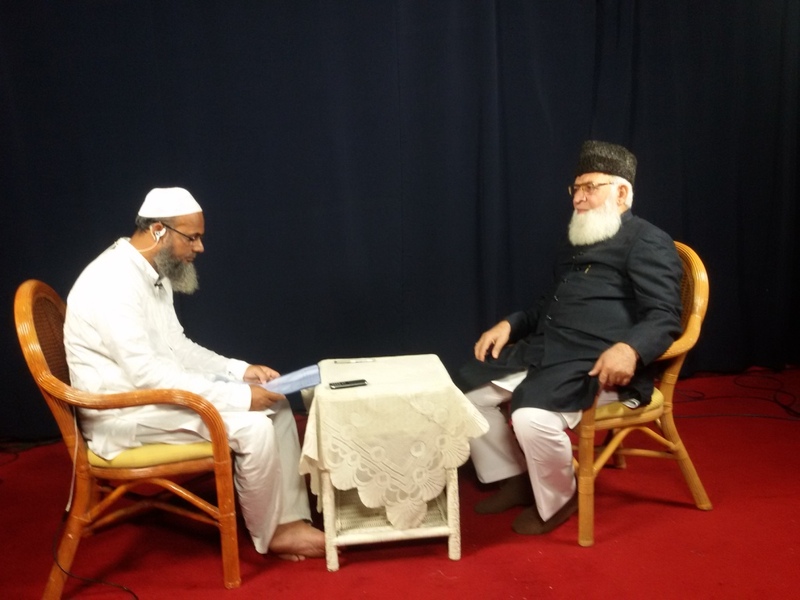 Two ulema meets were organized one each in south and north Goa to seek the co-operation of the ulema to address the issues of dowry, inheritance rights of women, Meher amount due to the bride at the time of Nikah, rights of parents and elders in the family, etc. The Masjid committee members were appraised of the ground reality of increasing divorce cases among young Muslims. They were asked to play a more active role in curbing wasteful expenses during weddings and use the Friday sermon to address the issue in the coming days. A proposal was put forward to arrange for pre-marital counseling for nikah applicants to help them understand the responsibilities and sensibilities of marital life. Women should know their rights & status which islam bestows upon them, be conscious enough to get their rights specially the dower (meher) amount from their husbands and save them from hell fire. Quoting a hadith the wise leader of Jamaat said that Allah will raise those men who fail to pay dower to their wives from among the fornicators . Social media was extensively used to reach to the younger Muslims with 5 short videos on the subject released during the campaign period. Print and electronic media were also used to convey the message of the campaign. 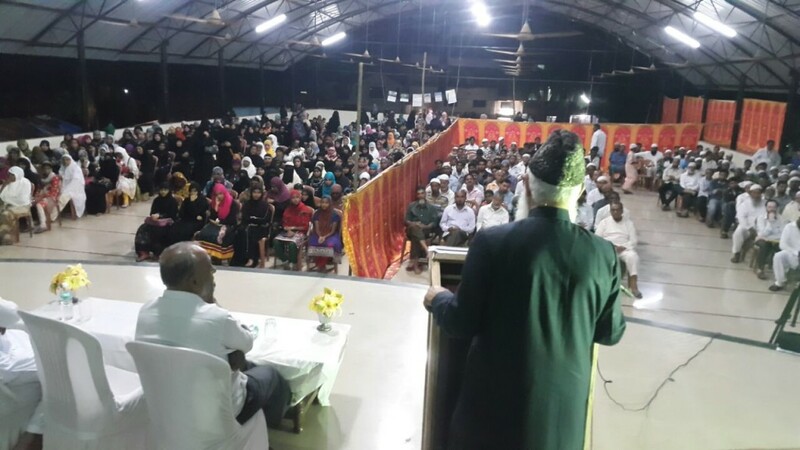 The issues raised during the campaign were appreciated by all the masses as well as the Muslim leadership in Goa. Many parents expressed their helplessness of the ground realities and many said the issues have touched their hearts and shall make every effort to remedy the situation in the society. 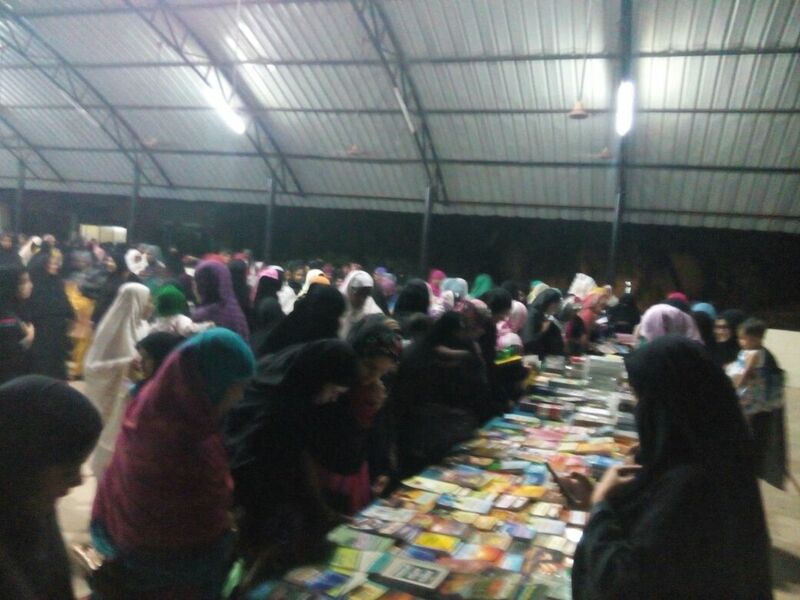 Women in large numbers attended the public programs and played a pivotal role during the campaign. 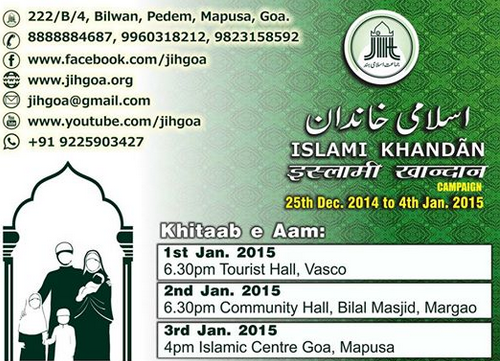 Jamaat-e-islami Hind Goa used various means to reach out to the community. 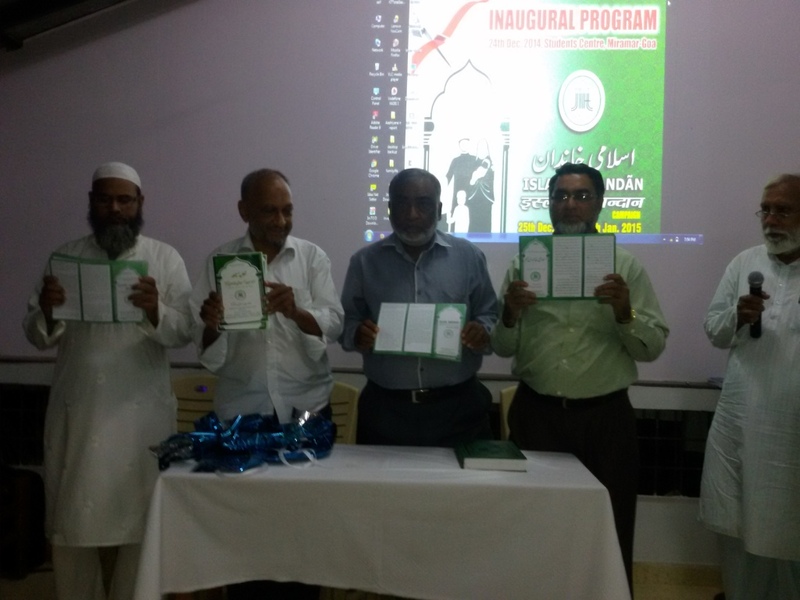 Friday sermon booklet on Islami Khandaan was distributed to 61 Masjids. 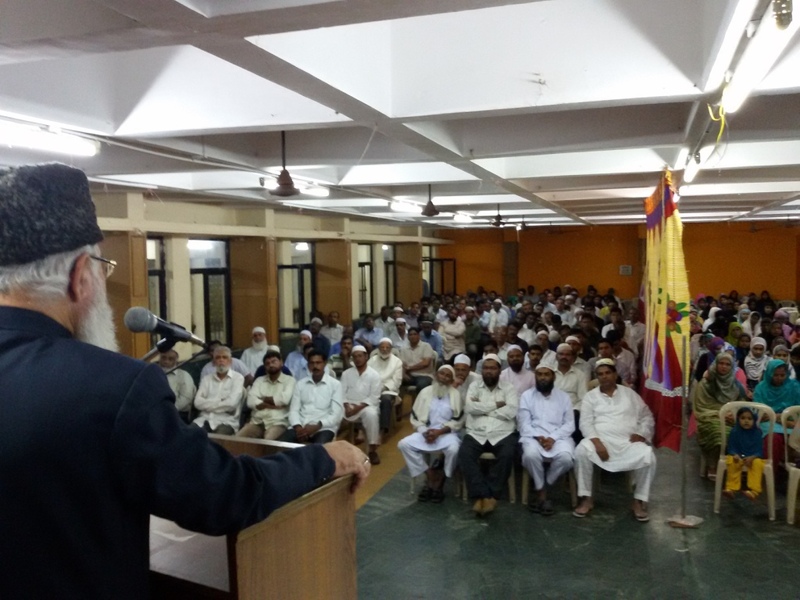 96 Religious leaders and Masjid committee members were individually addressed during the campaign. Close to 2500 Muslim families were contacted and urged to mould their lives according to the Quran and Sunnah of Prophet Muhammad (saw). Street corner meetings were held across different towns and cities of Goa. A special effort was made to use the social media network. Facebook, Whatsup and mailing list were usedto reach out to maximum numbers. 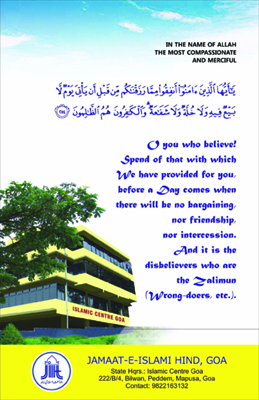 Daily Whatsup posters with sayings and teachings of Prophet Muhammad (saw) was extensively circulated to reach out to the masses. Articles and letters were mailed and posted on the facebook page for maximum effect. A series of Short videos were produced with the message of the campaign and circulated through social media network. The convener of the campaign Jb. Samiullah Bailwadi thanked all the community members for the support during the campaign.